Whether it's bored teenagers, grave robbing, or murder, nothing good happens in cemeteries at night. 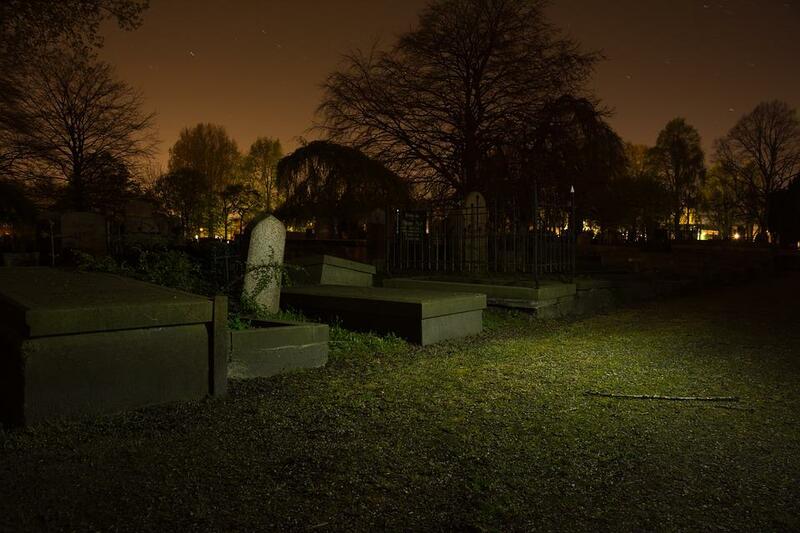 While most graveyard lore deals with ghouls, ghosts, and demonic possessions, sometimes the scariest things to happen in graveyards have nothing to do with the supernatural. People find a lot of scary things there - and not just dead bodies. Maybe graveyards are the perfect place to commit a crime because spooky stories of graveyards keep most people out. But the criminals in the following cases weren't as stealthy as they thought, as they were all eventually caught for their cemetery crimes. So while these stories have nothing to do with ghosts, there are still plenty of horrible crimes committed in graveyards that are equally as scary. Pakistani brothers Mohammad Arif and Farman Ali were arrested for a second time in 2014 for their unique hobby of stealing and eating human corpses. After neighbors complained of a horrible stench coming from their residence, police found the severed head of a boy, as well as other body parts, stewing in a pot. Arif and Ali were originally arrested in 2011 for snatching bodies (and body parts) from more than 100 graves to satiate themselves. Since Pakistan has no laws against cannibalism, the brothers only served two years for de-humanizing a body. 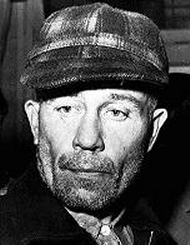 As far as serial killers go, Ed Gein has to be one of the creepiest. Gein didn't kill many people, but he was known to steal bodies from the graveyard. Why? He was building a suit of human flesh, as well as decorating everything in his house with bones and skin. Gein started grave robbing before he eventually was arrested for the murder of a local woman. Upon searching his house on an isolated farm, police found human flesh to be the centerpiece of Gein's interior decorating. In addition to the furniture and fixtures made out body parts, he was fashioning a suit made of female skin that he could wear around while pretending to be his dead mother. In a case almost as bizarre as pet cemeteries themselves, Brandon Nodier pled guilty to the murder of heiress Dorothy Thompson in 2014 after the case went cold for 30 years. Nodier started working as a live-in caretaker for Thompson's New Orleans pet cemetery in 1980. Known around town as a con artist, Nodier convinced Thompson - a heavy drug user - to give him a 99-year lease on the property for a mere $20 a month. In 1984, Thompson came to her senses and accused Nodier of tricking her, and filed a civil suit against him. Before the case could be resolved, her body was found chained up with a plastic bag over her head in the Mississippi river. The case went cold until a witness came forward. He told police he had spoke to Nodier, who confessed the crime to him. When he realized the police were on his trail, Nodier panicked and began to threaten another key witness, who also worked at the cemetery and had witnessed him strangling Thompson. Nodier was able to plead guilty of manslaughter in 2014 and received only 10 years in prison. Two months after Charlie Chaplin's death in 1977, his body was stolen from a Swiss cemetery. The culprits soon contacted Chaplin's widow, Oona Chaplin, seeking $600,000 for the return of the body. Oona refused to pay the ransom because she believed her husband would've thought the demands were outrageous. Police started investigating the case, and five months later two auto mechanics were arrested for the theft. They temporarily buried Chaplin's body in a cornfield while trying to collect the money. He was exhumed and returned to a safe-guarded concrete tomb.